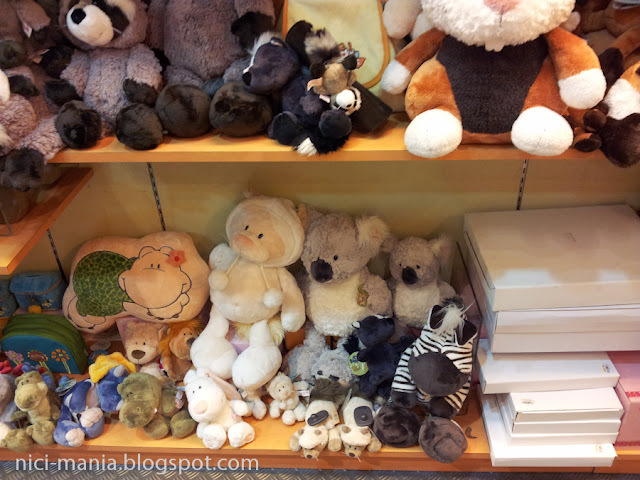 As usual, after our Malaysia NICI Shop visit, we run straight to Grand Parkson departmental store at 1Utama to check out other NICI plush. Wait!! Where are all the NICI?? 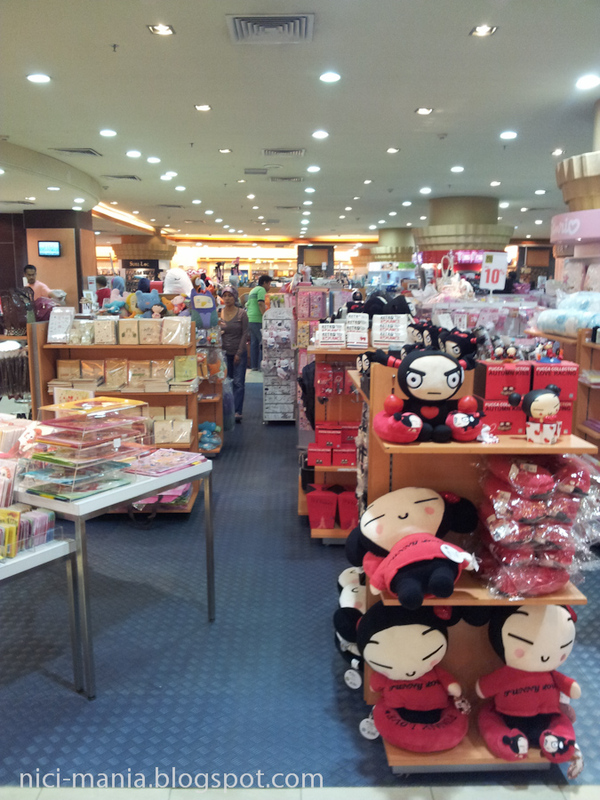 *Phew* Luckily all the NICI plush are still here at Grand Parkson! They relocated it to the very end corner of the toys department. 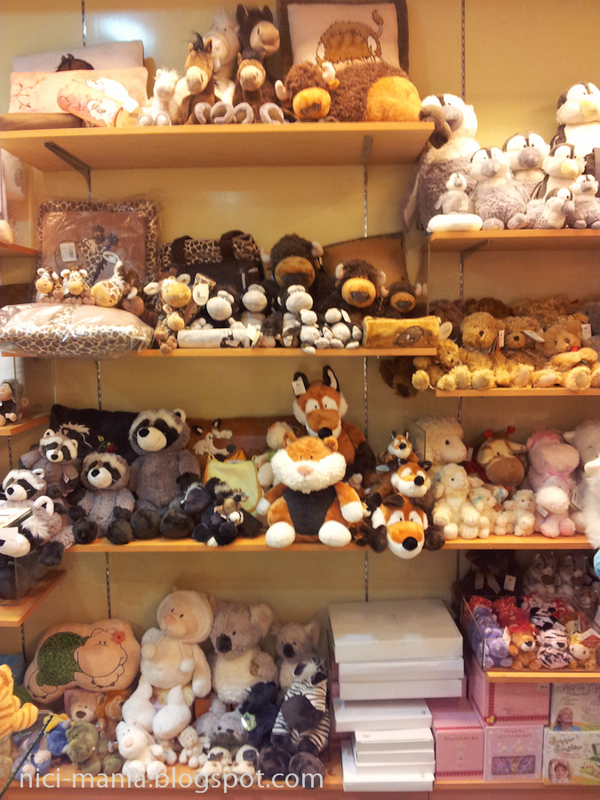 A wide array of NICI plush bestow our eyes! 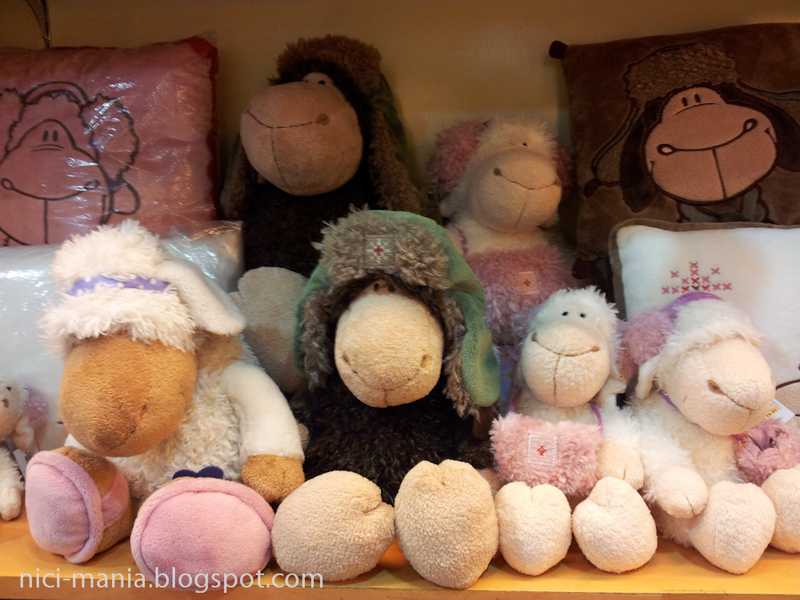 You can read more about NICI plush at Parkson here. 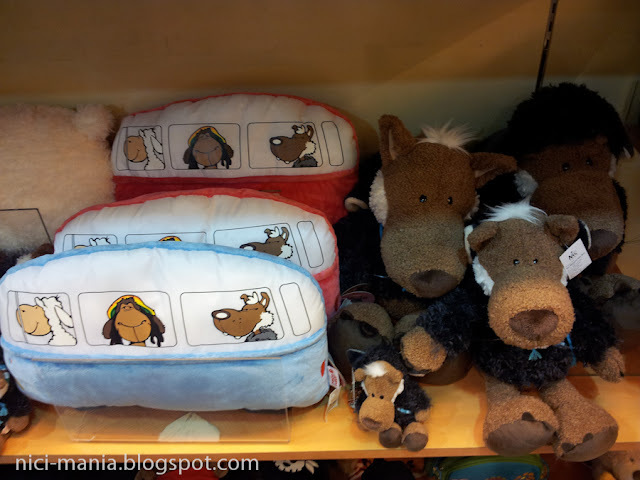 NICI Hugo Wolf and Jolly Bus blue and red. 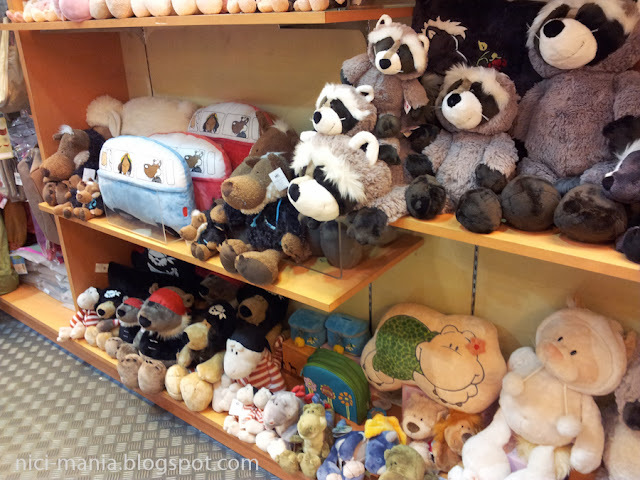 Lower shelf: NICI Rob Raccoon, Calvin Skunk, Hamster, Frederic Fox and a Matilda Beach turtle! Lying raccoons....!!! *gasp* that 50cm one is so very very cute! wow.. this store has good collection of older Nici. 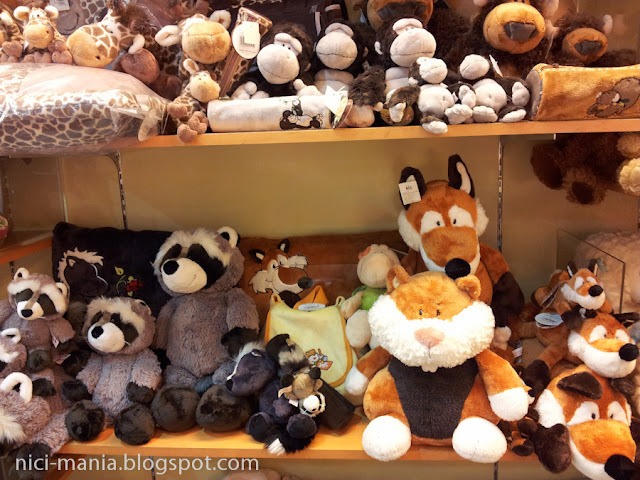 Raccons, Snowcats, Hammies & Foxes. Anyone going home with u Hugo? Oh! everything is beautiful. Already I want to see things! Oh mäh god! That's a lot of plush, lucky you. How could you resist buying all the sheep?? Oh, by the way, on FaceBook someone (Sean Jolly Mah) is looking for the black Hugo Wolf, I see this sheep is for sale in this store. Anyone out there knows where I can get NICI 20cm ladybird? My bestfriend love it so much, I plan to give one to her as a present. @Potamotrygorgeous Mäh: Ask Sean Jolly Mah to contact us, there are still many Hugo Wolf around in Singapore and Malaysia!